Looking for limo hire in Roath? Whether you want to make a grand entrance on your wedding day or enjoy the VIP treatment for a night on the town, we've got a wide range of luxury limousines available to hire - all at surprisingly affordable prices. With its historic buildings, charming churches and proximity to Cardiff centre, Roath is a popular location for brides and grooms looking to celebrate their special day. If you're among them, get in touch today to find out more about our great deals on luxury limousines. We've got classic cars like Rolls Royce limos, Lincoln town cars, Chrysler limos and more, as well as a wide range of more modern designs for those who want something a little different. We'll provide everything you need to make you feel like royalty from the moment you step aboard, from complimentary chilled champagne to a uniformed chauffeur to whisk you to your destination. 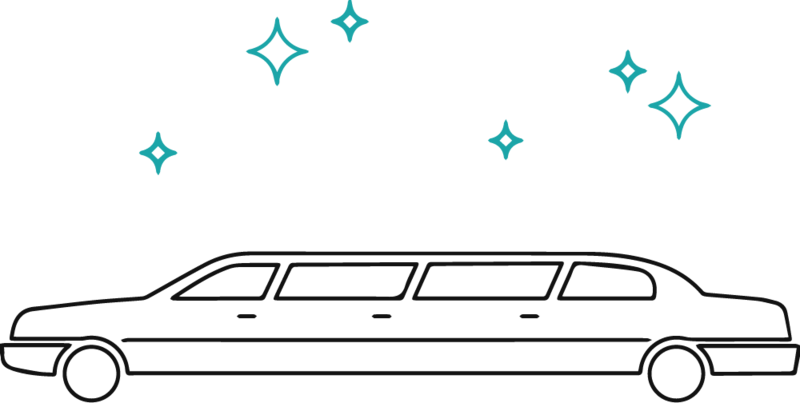 our limos are also great for those planning to take advantage of the area's fantastic night life. Whether you're dining out in Roath or taking advantage of its lively student pubs and bars before heading into central Cardiff for a night to remember, hiring a limo is a great way to turn heads. Why not gather a group of friends and try out our amazing stretch Hummer limo for size? Boasting enough room for up to 18 guests and fantastic extras like karaoke machines and light up LED dance floors, they're the ultimate party on wheels. All of our limousines are equipped to the very highest standard and come complete with the services of a professional chauffeur to take you wherever you want to go. You can hire them for just a few hours, a whole day or as long as you need. So whatever your requirements, our limo hire in Roath has the perfect vehicle for you.